Shortly after preaching publicly for the first time, Knox wrote to Marie of Guise exhorting her to abandon her faith and bring Scotland into the kingdom of the elect. Although he tried to word his admonition tactfully, his zeal and uncompromising belief in his own righteousness led him to take a moralising tone with the Regent that she found ludicrous. She might be willing to permit a degree of tolerance but she was not going to take advice from a lowly preacher. Knox, dismayed that he had not persuaded the Regent to convert, retired to Geneva in high dudgeon. He displayed his disappointment in his First Blast of the Trumpet against the Monstrous Regiment of Women, in which he set out his unshakeable belief that rule by a woman was counter to the Word of God.This was certainly not a belief confined to Knox, but, for most people, stable, legitimate government, even if led by a woman, was a higher priority than the abstract concept of male dominance and James, although he probably would have preferred a legal system that rejected feminine rule, left no evidence that he ever objected to his sister’s position as Queen on the grounds of her gender. In 1557, James, increasingly reformist in outlook, together with the committed Protestants, his uncle, Lord Erskine, Lord Glencairn and Lord Lorne, invited Knox to return to Scotland. He took some persuading but eventually agreed to come. When he was already on his way James and the others changed their minds and told him not to return – the political situation was complex and sensitive, and they knew that Knox would always put honesty before expediency. Knox, grievously offended by this dithering, sent a letter to the lords exhorting them to do their duty and make every attempt to bring Scotland out of the darkness and into the light. James and the others ignored this missive – they were too concerned about the political situation. 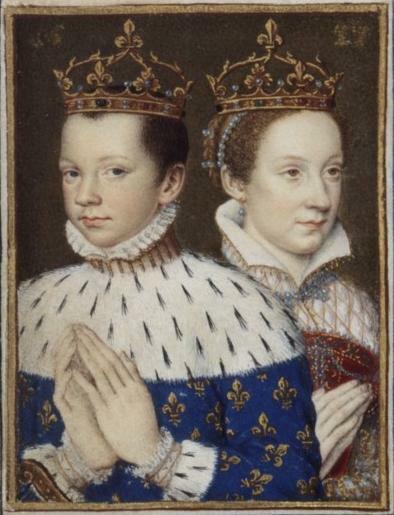 The time had come for the young Queen Mary to be married to François, the Dauphin of France. Lord James was one of the Scottish Commissioners sent to negotiate the terms and conditions of the marriage in December 1557 and to attend the ceremony. On the surface, all seemed well, as the marriage treaty confirmed that all of the rights and privileges of the Scottish government would remain the same and provided that, if Queen Mary failed to bear a son and had only daughters, the Crown of Scotland would pass to her eldest daughter, in accordance with Scottish, rather than French law which did not recognise women’s right to succeed to the Crown. Of course, if Queen Mary were to have a son he would inherit both France and Scotland. There was distinct unease in Scotland about much of this – had they escaped a forced union by marriage with England only to be faced with a slightly-less forced union with France? Lord James and the other Scottish Lords would presumably have been even more nervous had they known that Queen Mary had been inveigled into signing a secret document leaving her throne, in the case of childlessness, to the French Crown rather than to her actual heir – the Duke of Chatelherault. The Duke’s place in the succession had been confirmed as part of the agreement he made to step down from the Regeny in favour of Marie de Guise. As it happened, the Earl of Lennox contested the Duke’s claims, and this would lead to later troubles. There was never any discussion about the possibility of Lord James being named as an alternative. The other Lord James Stewart had died in 1557, so James was now the eldest surviving of James V’s illegitimate sons.